The Anderson School of Management is situated amid the greater University of California, Los Angeles campus in the Westwood section of the city of Los Angeles. Students at UCLA Anderson enjoy a small student body and the school’s notable strengths in entrepreneurship and entertainment and media management, as well as the community-oriented atmosphere Anderson maintains even in such a large city. The school offers prospective management students four paths to an MBA, two of which are designed for executives. Get all of this info to read on the go! Download the Anderson School Snapshot PDF. Over 160 professors and lecturers teach courses across Anderson’s eight academic areas and an interdisciplinary research group. They also contribute to Anderson’s six research centers, which focus on topics ranging from entrepreneurial studies to global management. The entering class of the full-time MBA program typically numbers about 360 students, and each class is divided into five sections designated A through E; first-year students take three of their five fall courses with their section mates. Each quarter, MBA students are further separated into learning teams of five individuals who work on homework and proj¬ects together. Anderson divides its calendar into seasonal quarters, and students attend classes during the fall, winter and spring quarters; and first year students also attend a five-week summer quarter prior to their first year. The curriculum is delivered through a combination of lectures, case- and project-based approaches. First-year MBA students are required to attend approximately one week of orientation prior to starting classes. This orientation consists of a week-long course called “Leadership Foundations” before the condensed, five-week summer quarter in which students take their first two core courses, “Financial Accounting” and “Organizational Behavior.” The fall quarter begins in late September and concludes in mid-December. During the first quarter, first-year students also partake in the Parker Career Series course, during which they take part in workshops and training sessions to prepare for job searches and interviews. The winter quarter commences in early January, and courses conclude in the middle of March. Spring quarter courses start at the beginning of April and end in early June, with Commencement occurring the day after the weeklong exam period. In total, students take either 11 or 12 courses in their first year depending on an optional elective in winter quarter; students may complete between 24 and 28 courses in total throughout the two years of the MBA program. The first-year schedule comprises a very structured curriculum, and students may determine the order in which they take two of the required 9 courses. First-years can first take an elective or two in the spring quarter. In the second year, students may choose to pursue one of 15 specializations. The only academic requirement for second-years is the Capstone Project, which offers students two different choices. The Applied Management Research Program (AMR) is a hallmark of the UCLA program that provides students with 20 weeks of team-based, experiential learning as they complete strategic studies for real business clients. The second choice is the Business Creation Option, in which students spend two academic quarters researching and ultimately launching a company while still in school. Second-year students may also spend a term studying abroad. While UCLA Anderson’s full-time MBA program spans two years, the school also offers three other degrees of varying duration. These include the Executive MBA and the Fully Employed MBA, which allows its students to remain in the workforce while taking classes on weekends and in the evenings. UCLA Anderson also offers a dual-degree executive MBA program in conjunction with NUS Business School in Singapore. Ten concurrent degree options are available for those in the full-time MBA program. Students at Anderson find many opportunities to enrich their MBA experience through extracurricular activities. The school has over 50 student-run clubs that represent a broad range of professions, cultures, social interests and sports. For example, students looking to enter real estate can enjoy offerings from the Anderson Real Estate Association such as workshops, job site visits, a mentorship program and networking mixers. Meanwhile, the group Anderson Eats helps students and their family and friends get to know each other while exploring the various cuisines available in Los Angeles. On the athletic side, students can join clubs focused on soccer, tennis, surfing, and skiing and snowboarding, among others. In addition to their regular meetings and smaller-scale events, Anderson’s clubs organize a variety of conferences each year. These include the PULSE Entertainment, Sports & Technology Conference hosted by the UCLA Anderson Sports Business Association, the Entrepreneur Association’s annual Entrepreneurs Conference, and the Greater China Business Association’s annual Greater China Business Conference. Students can also put their business skills to the test through competitions such as the UCLA Anderson High Tech Case Competition and the Knapp Venture Competition. The Anderson School of Management is located in the center of the northern end of UCLA’s campus in Los Angeles, California. Anderson’s campus is comprised of six buildings that are connected to each other. At the center of the complex lies the Marion Anderson Courtyard, which serves as a common meeting place for members of the school community. In addition to plentiful classrooms and meeting rooms, the school also boasts a café, a large library, an auditorium and an executive dining room. Although on-campus housing is available through six UCLA-owned apartment buildings, the school reports that two-thirds of students live within five miles of campus in nearby neighborhoods such as Westwood, Brentwood, Santa Monica, West Los Angeles, and the South Bay Area. Students hoping to receive on-campus housing are advised to apply early, as space is limited. All MBA students may work with the Parker Career Management Center for help in securing employment after graduating from Anderson. The Center offers students one-on-one career advising, myriad recruiting events organized by a dedicated recruiting staff, and a spring Recruiters’ Day and MBA Career Fair hosted by UCLA Anderson. Students may also avail themselves of resources such as job postings via the online Parker CMC Classifieds. Interviews for second-year students seeking full-time positions with potential employers begin in October and continue throughout the duration of the year; interviews for summer internships begin in January and may last throughout the winter and spring quarters. Eighty-eight percent of the Class of 2017 reported receiving job offers within three months after graduation; another 5% were starting their own companies. Of those reporting salary data, students earned an average base salary of just under $120,000 in their post-MBA roles. The top industry pursued by 2017 graduates was technology, which drew nearly 30% of the class. The financial services industry employed 18%, and consulting and consumer products employed about 21% and 9% of the class respectively. Nearly 8% of 2017 Anderson graduates took on post-MBA roles outside the U.S, with the most popular regions being Asia and Central and South America. About 92% chose to remain in the U.S. Of those students, approximately 67% entered positions in the state of California and 44% of the total graduating class remained in southern California; western states excluding California attracted 14.7% of students. The next most popular region was the Northeast, which hired nearly 6% of graduates. Anderson received 3,423 applications for positions in a class targeted at 360 students for the Class of 2020. Undergraduate GPAs for 80% of students ranged from 3.2 to 3.8, and their GMAT results averaged 719 with a middle-80% range of 680 to 750. Students entered Anderson with an average of about 5 years of professional experience. Thirty-three percent of the class is made up of international students. Women constitute 35% of students, while individuals identifying as members of U.S. minority groups represent 29% of the class. As undergraduates, members of the Class of 2020 elected to major in business more than any other discipline: 25% pursued this course of academic study. Thirty-six percent split evenly across engineering and economics. Another 16% had studied humanities. Twelve percent had majored in math or computer science. By industry, Anderson drew the highest percentage of its students from finance, 25% total. The consulting and high tech industries closely followed with 14% and 22% of the Class of 2020, respectively. Ten percent of students had previously worked in the public and nonprofit sectors and 9% in the consumer goods sector. The remaining students hailed from health care and biotechnology, entertainment and media, and real estate sectors. Prospective MBA students wishing to apply to Anderson may submit their materials in one of three rounds that span from early October to mid-April. The school accepts applications via its online system only; the form includes questions regarding the applicant’s personal and professional background. Applicants should also be prepared to submit an application fee, GMAT results and TOEFL or IELTS scores if applicable, two letters of recommendation, an essay, and copies of academic records. Interviews are required for admittance and are conducted by invitation only. Those applicants invited to interview may do so on campus with a current Anderson student. Applicants may also opt for an off-campus interview, which are conducted via Skype. Anderson estimates a student budget for the 2018-2019 year to be $98,699; the school also identifies a computer allowance fee of $986 that is applicable only to first-year students. Of those budget totals, tuition makes up $59,866 of the total cost. In June 2013, UCLA Anderson converted its full-time, state-supported MBA program to self-supporting status. This means that the school now retains all tuition for the full-time MBA program rather than receiving a combination of state funds and a portion of the student tuition and fees. Students may receive financial assistance in the forms of fellowships, grants and loans, and last year approximately 40% of Anderson students received fellowships. Applicants are automatically considered for fellowships upon admission to the MBA program, and students selected for fellowships, grants, and loans receive their awards in three disbursements marked by the fall, winter and spring quarters. Domestic students may also receive federal loans and must file the FAFSA to do so, while international students may pursue private loans with or without a U.S. co-signer. What is the tuition for Anderson’s MBA program? The tuition for Anderson’s MBA program is $59,866 per year. The total cost of the Anderson MBA program is $98,699 per year; this includes budgeted living expenses. How hard is it to get into Anderson’s MBA program? The acceptance rate for Anderson is 17.8%. It is important to consider the acceptance rate in the context of the student profile of those who are admitted. For example the average GMAT score is 719. What is the average GMAT score for admission to Anderson’s MBA program? The average GMAT score for the incoming class at Anderson is 719. The GMAT range is middle 80% 680 to 750. Does the Anderson MBA program accept the GRE? Yes. The Anderson MBA program has accepted the GRE for a few years now. What is the average GRE score for admission to Anderson’s MBA program? Anderson does not publish an average GRE score for its incoming class, but does accept the GRE for admissions. What is the minimum number of years of work experience required for admission to Anderson’s MBA program? Anderson does not state a minimum requirement for years of work experience. However, it is important for candidates to be aware that they are being considered against other candidates with an average of 5 years of experience. The average number of years of work experience among students in Anderson ’s MBA program is 5. What is the average starting salary for graduates of the Anderson MBA program? The average starting salary for Anderson MBA graduates is $123,000 (median base salary). The salary will vary by industry, with consulting and finance jobs generally commanding the higher salaries. How long is Anderson’s full-time MBA program? Anderson offers a traditional 2 year MBA program. What are the application deadlines for Anderson’s MBA program? The Round 1 MBA application deadline is October 2, 2018. The Round 2 application deadline is January 8, 2019. The Round 3 deadline is April 16, 2019. What percent of Anderson MBA students are women? The percentage of the class at Anderson that are women is 35%. What type of interview does Anderson use for MBA admissions? Anderson offers interviews by invitation. The interviews are blind. This means the interviewer has not had access to the application materials. Waiting on a UCLA Anderson Round 2 Decision? 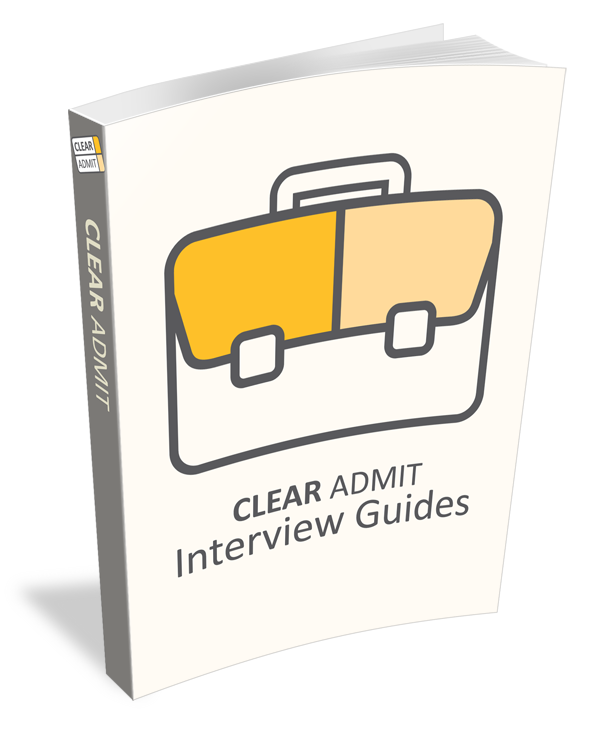 Join the Clear Admit MBA Chat! In this MBA DecisionWire Spotlight, which highlights MBA candidates’ choices as shared in Clear Admit’s DecisionWire, we take a closer look at a candidate accepted to Columbia and UCLA Anderson. GPA: 3.0. GMAT: 680. CA.